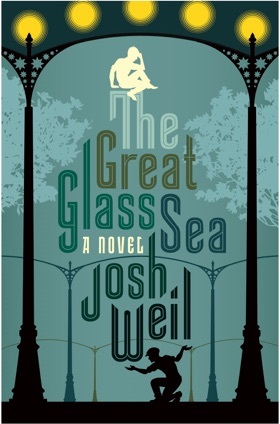 From celebrated storyteller Josh Weil comes an epic tragedy of brotherly love, a boldly original novel swathed in the magic of Russian folklore and set against the dystopian backdrop of an all too real alternate present. Twin brothers Yarik and Dima have been inseparable since childhood. Living on their uncle’s farm after the death of their father, the boys once spent their days in collective fields, their nights spellbound by their uncle’s mythic tales. Years later, the two men labor side by side at the Oranzheria, a sea of glass — the largest greenhouse in the world — that sprawls over vast versts of cropland. Lit by space mirrors orbiting above, it ensnares the citizens of Petroplavilsk in perpetual daylight and constant productivity, leaves the twins with only work in common—stalwart Yarik married with children, burdened by responsibility; dreamer Dima living alone with his mother and rooster, wistfully planning the brothers’ return to their uncle’s land. But an encounter with the Oranzheria’s oligarch owner changes them forever. Dima drifts into a laborless life of bare subsistence while Yarik begins a headspinning ascent from promotion to promotion until both men become poster boys for opposing ideologies, pawns at the center of conspiracies and deceptions that threaten to destroy not only the lives of those they love but the very love that has bonded the brothers since birth. This is a breathtakingly ambitious novel of love, loss, and light, set amid a spellbinding vision of an alternative Russia as stirring as it is profound.